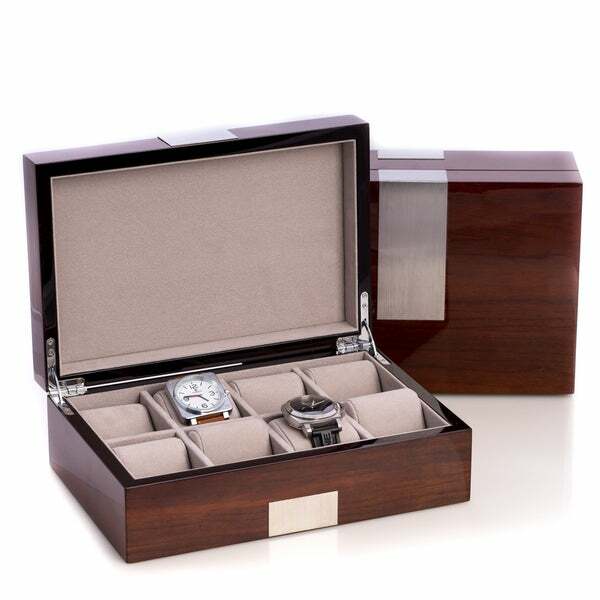 A handsome watch storage box, this is constructed in high lacquered wood and lined with a soft velour lining in order to preserve your valuables. Wonderful watch box. Very good quality. Used as a display case for product samples.